Idéal pour des vacances au calme ! 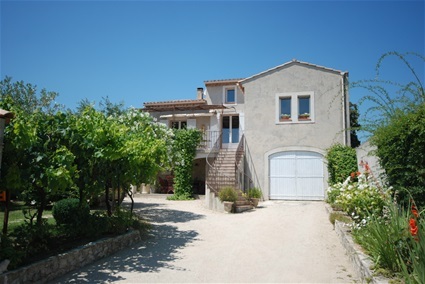 Surrounded by vineyards, Le Gran Barsan is just 2 km from the medieval village of Vaison-la-Romaine. With a garden, it provides a self-catering apartment with a terrace. It also offers views of the Dentelles de Montmirail. 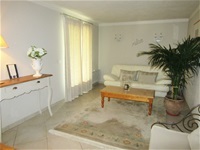 The apartment Le Grand Bersan is decorated in a modern, Provencal style. 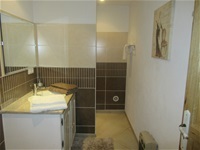 It is made up of 2 bedrooms, a living room with a TV and a private bathroom with a walk-in shower. 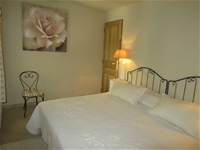 Towels and bed linen are included. 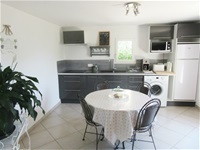 You can prepare meals using the apartment’s kitchen, which is fitted with hotplates, a fridge and a microwave. A barbecue, a coffee machine and an electric kettle are also available for your convenience. Le Grand Barsan is equipped with free Wi-Fi. 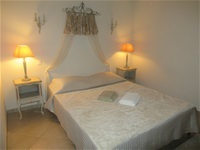 Free private parking is possible on site and Orange is 25 km from Le Grand Barsan. 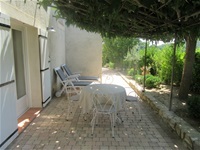 Agréable gîte bien équipé,très propre,terrasse ombre et soleil,entouré de vignes,chant des cigales.La disponibilité et la sympathie des propriétaires en plus.